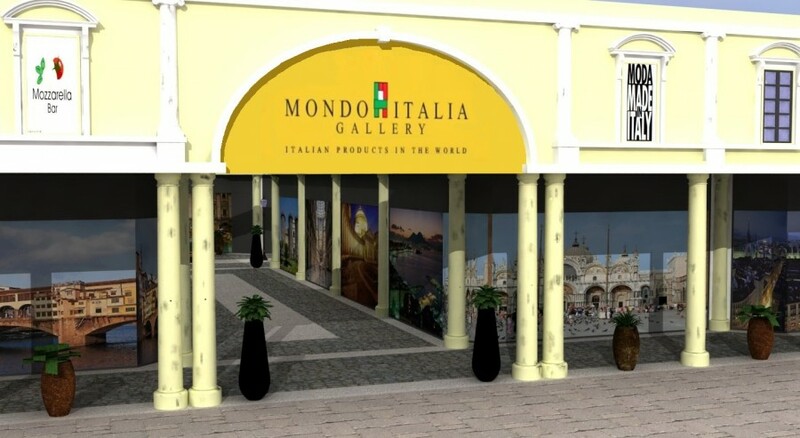 Mondo Italia Gallery is the project designed for large spaces for a megastore of the Italian excellence: Fashion, Food, Home, Sport, Kids and Wellness. 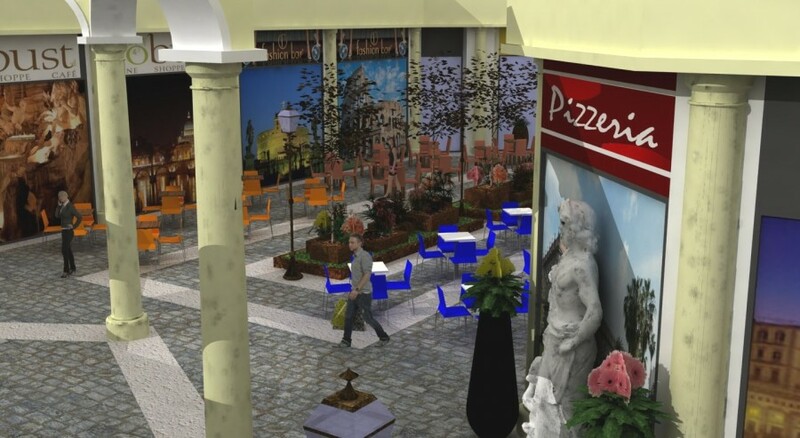 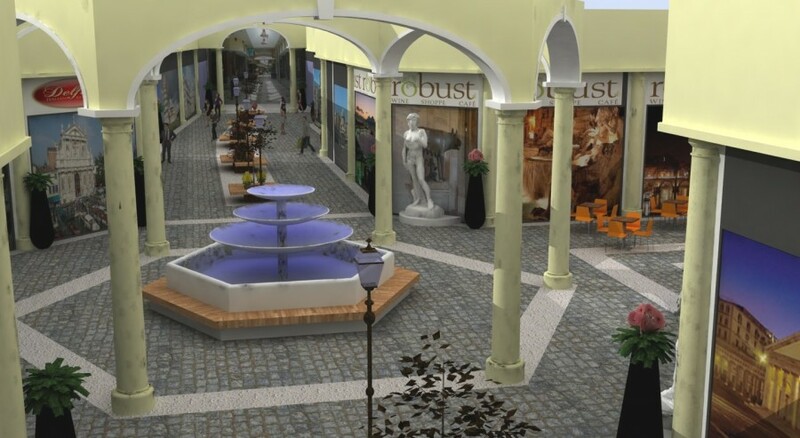 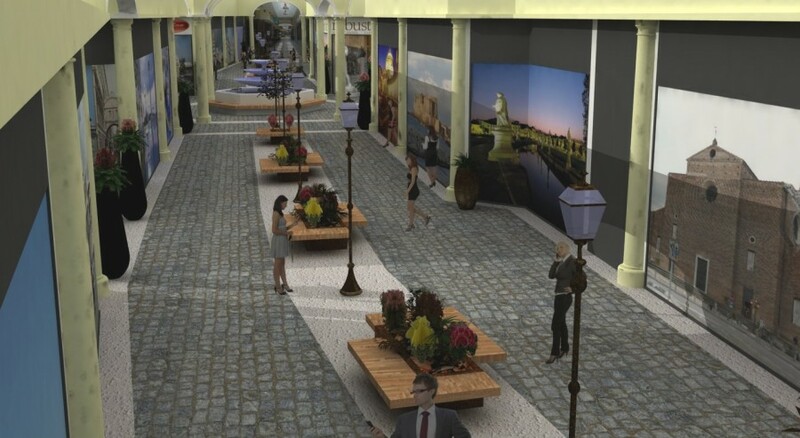 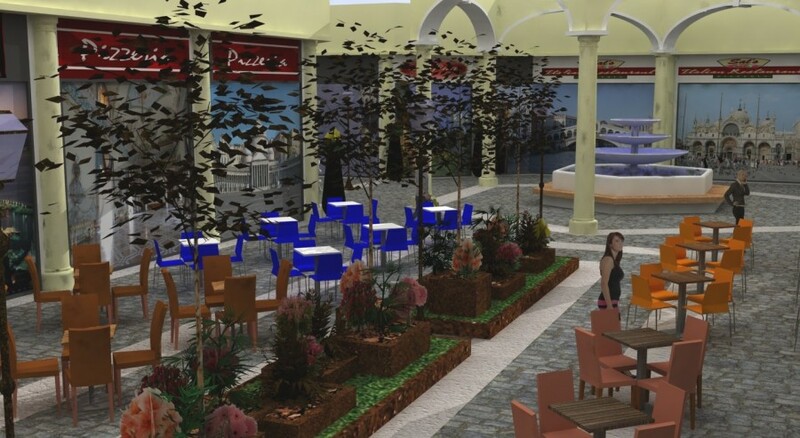 You will be able to take a trip through an original and spectacular scenery; a tour through the main monuments and Italian piazzas that will be the setting for apparel stores for men, women, children, sports accessories and home, plus a food court area where you can try the typical Italian taste thanks to the presence of restaurants, pizzerias, pubs, cafes. 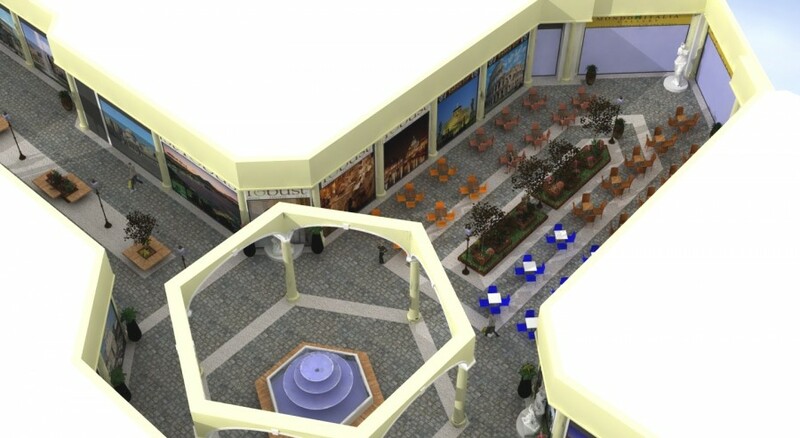 The course is completed by an area for relaxation and wellness.